Yesterday morning I had a trip up the A12 to Great Bealings near Woodbridge to visit Elizabeth Sadler. 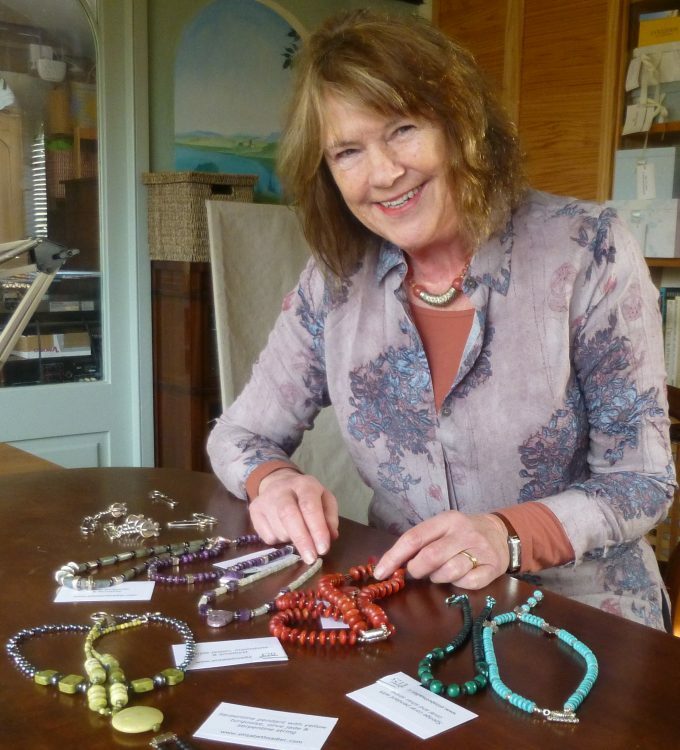 Liz will be exhibiting her jewellery at Lexden Arts Festival for the first time this year. Liz loves colour and particularly enjoys working with semi-precious stones. On the table in the photograph are some of the necklaces which will be going into our jewellery cabinet. We will also be showing ear-rings made by Liz, also using semi-precious stones in lovely combinations. I’m sure Liz’s work will be a hit with our visitors!